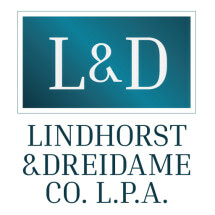 Lindhorst & Dreidame provides the full range of business and personal legal services at competitive rates. By attracting knowledgeable attorneys with expertise and experience in virtually every specific area of law, we make it our practice to pair each client with the attorney whose particular qualifications best suit that client's needs. Our clients receive the personal attention they deserve, without paying for more than they need. This approach has enabled Lindhorst & Dreidame to successfully serve the law and our clients for over 60 years. The firm is rated 'AV', the highest rating possible, by Martindale-Hubbell.